For those so inclined, a casual walk or drive through virtually any Toronto neighbourhood would quickly affirm that asphalt shingles are the most common type of roofing material used in residential construction. Notwithstanding the ages or styles of those homes, it is quite likely that their roofs are finished in this manner. There are many good reasons for this; asphalt shingles are cost-effective, relatively easy to install, functionally effective, and have an average lifespan of approximately 20 years. And while that latter point implies that this type of roofing will not last forever, the many positives of asphalt shingles often influence homeowners to simply have them installed again when their roof does need replacement. Wind damage is a frequent contributor to partial or complete failure of asphalt shingles, especially as they weather and age. 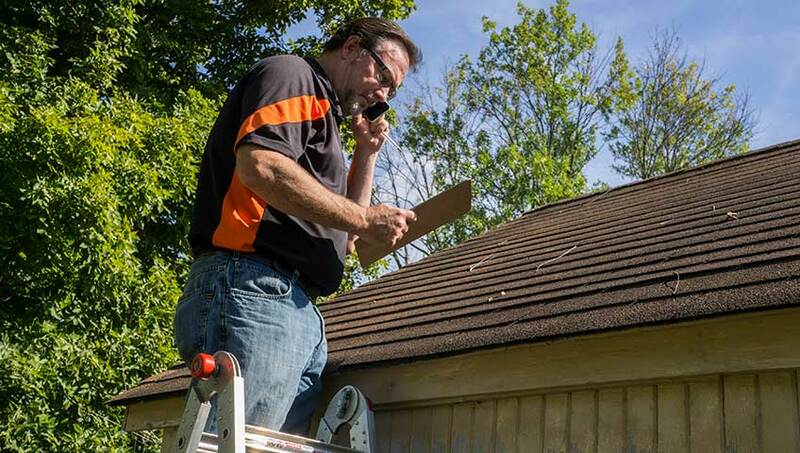 Taking extra steps and precautions like those noted above can assist homeowners in avoiding damage to their shingled roofs – and avoiding potentially extensive and extensive roof repair costs. As indicated above, the choice of roofing contractor can have a direct impact on avoiding wind damage to shingled roofs. 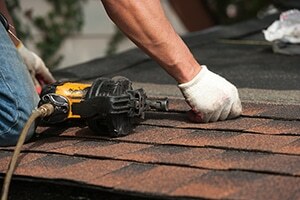 Although it would probably be less expensive to attempt do-it-yourself roof replacements or repairs, or to utilize non-qualified handypersons, the possible risks and long-term consequences far outweigh any short-term cost savings. For more information on the roofing maintenance, repair, and replacement services offered by the professionals at Integrity Roofers, including those related to avoiding wind damage to shingled roofs, see Roofing Repairs page. For dependable roofing services, including roof inspections, replacements, and repairs, call the experts at Integrity Roofers today at 416-639-0779 or contact us to request a no-obligation quote.